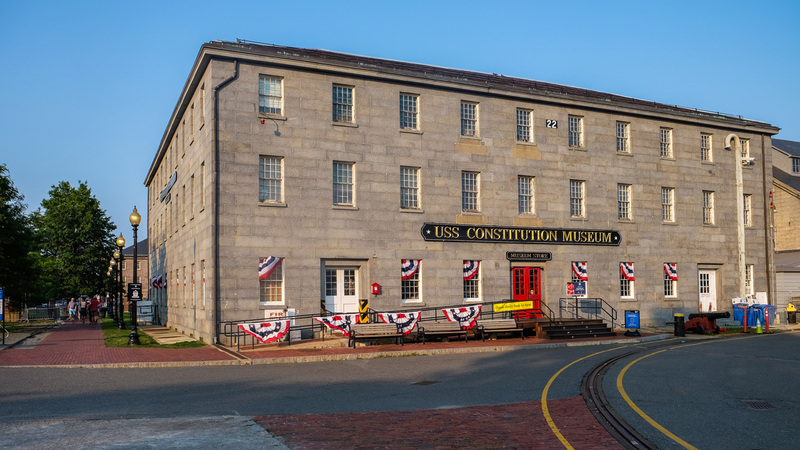 Located at the confluence of the Charles River and Mystic River in Boston Harbor, this shipyard was established in 1800 and was an important wartime asset until it was retired in 1974. Developed under a master plan prepared by engineer Loammi Baldwin, Jr., the Navy Yard was an innovator in shipyard technology and played an important part in the progress and effectiveness of the U.S. Navy. 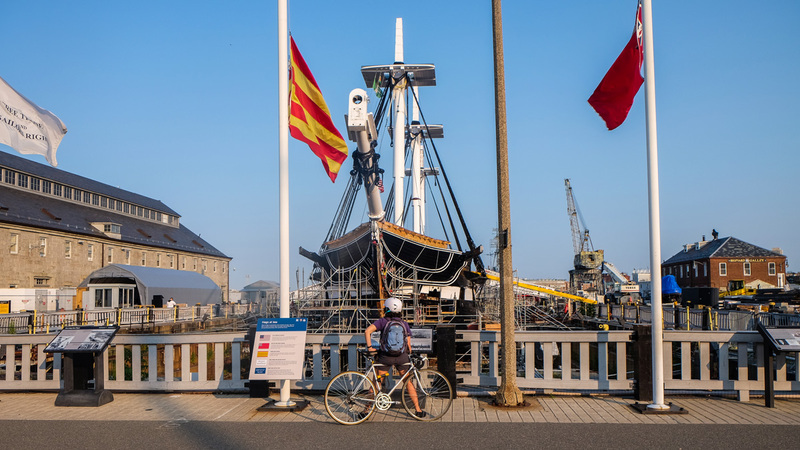 The Navy Yard is now home to USS Constitution, a commissioned vessel in the U.S. Navy and the oldest warship still afloat worldwide. 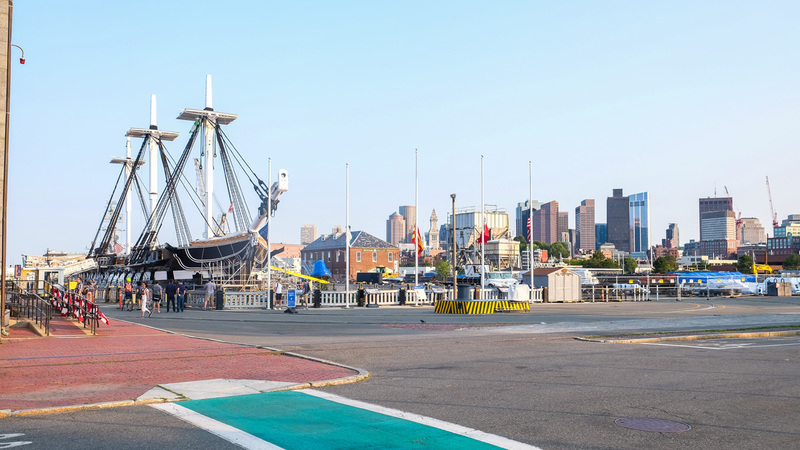 While the Navy Yard has transitioned from an active military site into a National Park, the Navy is still present, with active-duty naval personnel stationed on USS Constitution, as well as a skilled civilian maintenance force for the ship. 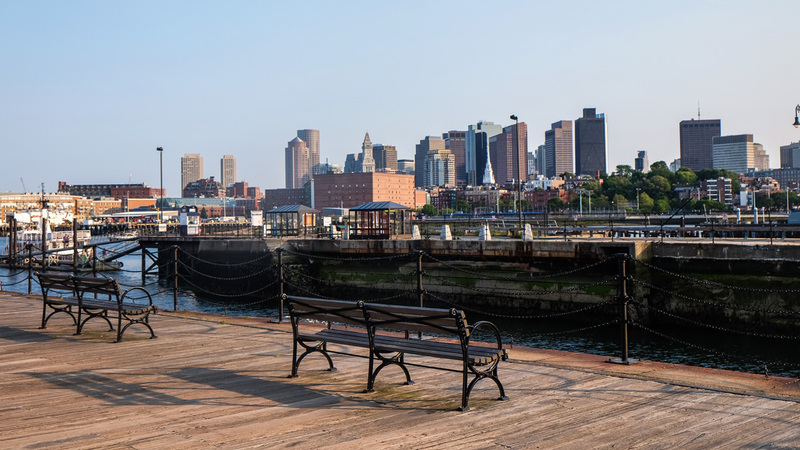 Childs Bertman and Tsekares (CBT) Architects and Carol R. Johnson Associates were commissioned to design the transition of the portion of the site not included in Boston National Historical Park from a working navy yard. 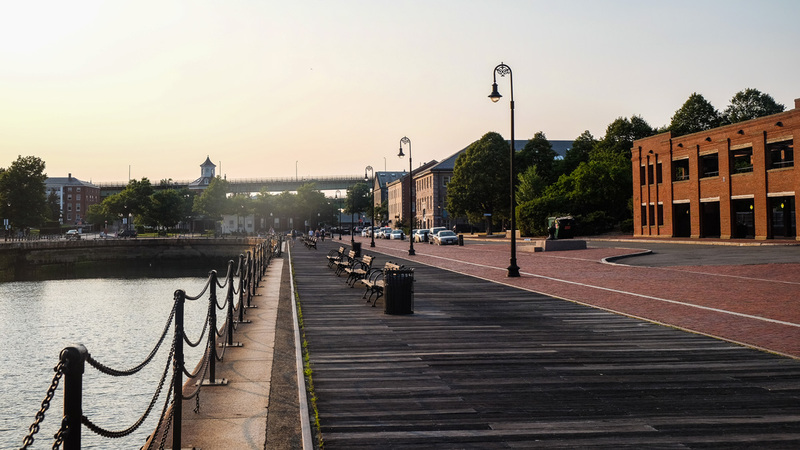 They maintained the site’s industrial fabric, while also installing the twelve-acre rectangular Charlestown Naval Shipyard Park at the Navy Yard’s center. The park is crisscrossed by red brick paths and features a playground, a terraced concrete water feature, and large expanses of lawn bordered by mature shade trees. A boardwalk runs along the Navy Yard’s shoreline. 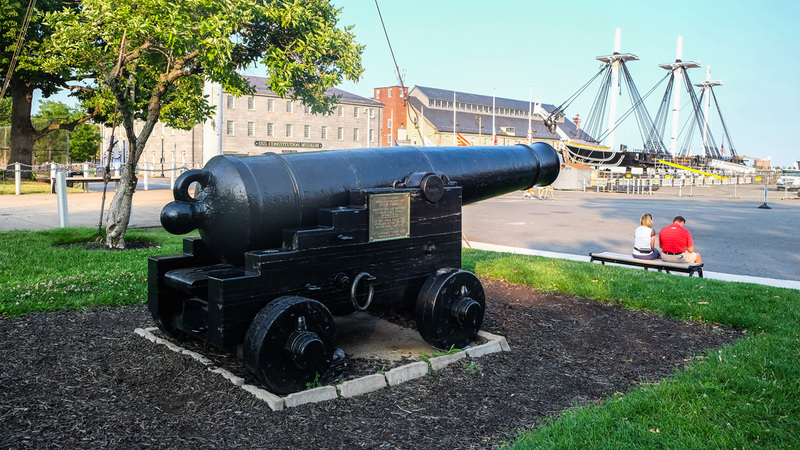 Cannon, anchors, and other historic naval ephemera have been placed throughout the shipyard to reinforce the site’s interpretive narrative. The western end of the Navy Yard is one of eight sites comprising Boston National Historical Park and one of seventeen along the Freedom Trail. 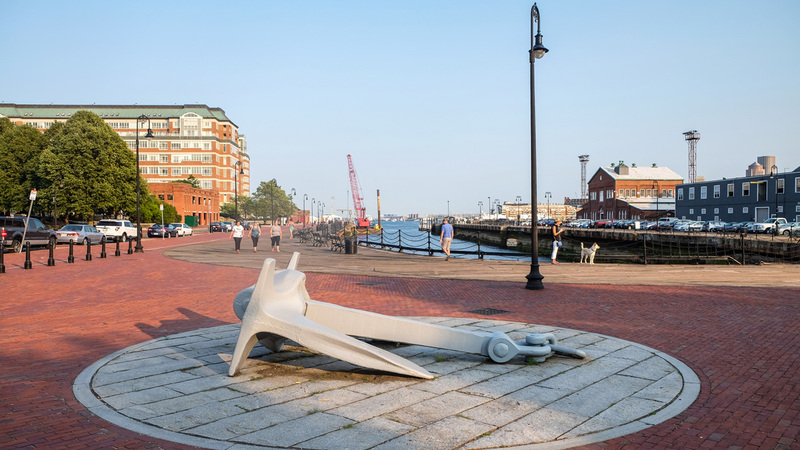 The Boston Naval Shipyard was listed in the National Register of Historic Places and designated a National Historic Landmark in 1966.